Wow, I can't believe how long it has been. The last few years have been crazy (mostly in good ways), so nearly all of my studio & DIY stuff has been on hold. Thankfully that has changed! Towards the end of last year I set up my studio (wish I had more space! 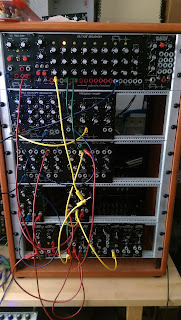 ), finished a few stand-alone clones (ARP 2600, ARP 1601, and Buchla 208), and resurrected the Synthasystem. 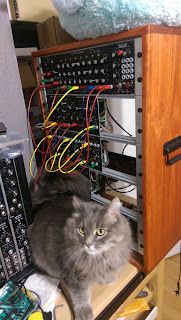 The bottom space in the rack will house a panel with some jack converters for input and output, a couple of V-Trig to S-Trig converters (maybe a couple going the other way, too), and possibly a PAiA Hot Springs reverb. 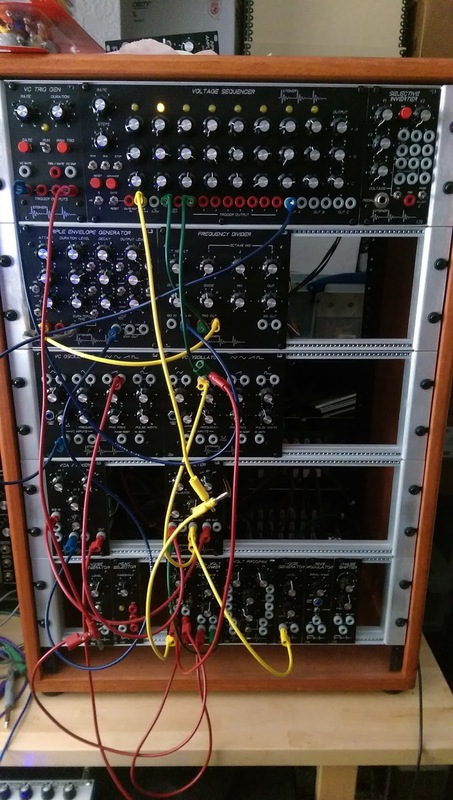 As the system nears completion, I'll post more photos, and hopefully some videos of it in use, too.